Dallas Calloway is desperate to find a bride. If the billionaire ex-rodeo champ's not married by his birthday, his dreams for his ranch will end thanks to his father's will. So Paris Reynolds's arrival looks like the answer to his prayers. The ravishing interior designer is desperate for a job. And Dallas has a proposition he hopes she can't refuse – marry him for one year, in name only, then get an annulment. But with the irresistible passion raging between them, how will they ever make it a year without sharing a marriage bed? Hiring a hot blonde to do the cooking? Probably not the smartest decision Texas rancher Ryan Delaney has ever made. But Jessica Upton is more than qualified... she's also the only candidate! Ryan just needs to keep a professional distance. Except Jessica's vulnerability gets to him, and temptation proves irresistible. Even so, Jessica has her reasons for staying at the ranch – and reasons she'll soon have to leave. 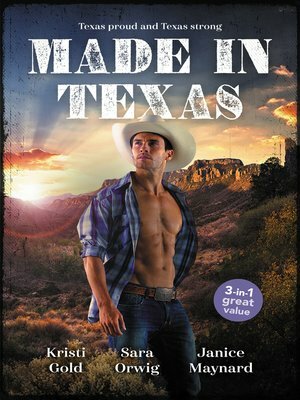 But she's about to discover to what lengths one determined Texan will go to lasso his heart's desire. For billionaire horse breeder Drew Farrell, the day starts with the usual argument with ornery neighbour Beth Andrews. But within minutes, he and the irritating beauty are huddled together in a storm cellar praying for their lives. They call a truce... and seal it with an unexpected kiss.